Welcome to the Everything ABC’s Blog Hop! For this hop we will be featuring the letter R. This may be the name of a paper, a stamp set or an embellishment. Whatever the crafter has chosen as their R element will be featured in their post. If you have just hopped onto my blog, please start at the beginning at Linda’s blog ~ Scrappy Therapy. 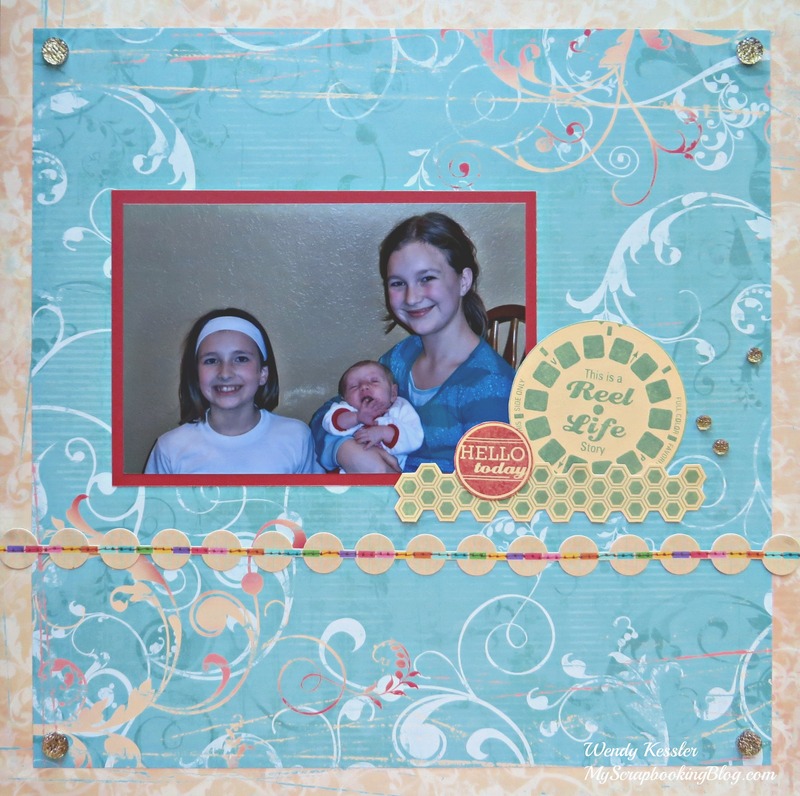 If you came from Lauren Moore – CTMH Craftings then you’re on the right track! Supplies used are all Close to My Heart unless otherwise noted: Key to My Heart Paper Packet (retired), Cardstock (Cranberry and Creme Brulee (retired)), Reel Life Stamp Set, Inks (Cranberry and Juniper), Bling Gems Gold Assortment, and Sassafras Cardstock Border Sticker. Sketch from Sketch Savvy. For my R, I chose the Reel Life stamp set. I love the hexagon border stamp! Your next stop on our Everything ABC’S blog Hop is Chantal Pearson – It’s a Hoot!. 5. Chantal Pearson – It’s a Hoot!